Dr Kilpatrick is a Family Physician with additional training and 12 years of experience in healthy aging and lifestyle medicine. 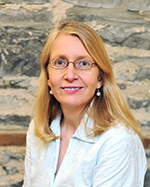 She is an Assistant Professor in the Department of Family Medicine at Queen's University, and is a sought-after speaker and local expert in aging and preventative health. She previously worked for eight years in Specialized Geriatrics Services at Providence Care - St Mary's of the Lake site. 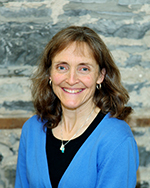 Dr Kilpatrick works in conjunction with the Centre's Nursing, Clinical Pharmacology, Nutrition, Fitness and Life Counselling staff to provide comprehensive health and wellness care, focusing on optimizing her patients health status and preventing future diseases such as diabetes, heart disease, strokes, osteoporosis, cancer, and falls and disability. Her approach to client Wellness is collaborative, multi-disciplinary and client-centered, with an emphasis on quality of life and optimization of lifestyle choices. In her spare time, Dr Kilpatrick enjoys staying fit by running, swimming, walking and working-out, plant based dinners with friends & family, and unwinding at the cottage with her partner Rick. She is an environmentalist, music-lover and avid reader. Joely became the nurse for the Health for Life Team in 2012. 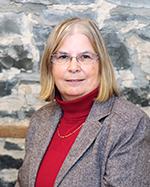 She received her Registered Practical Nursing diploma from St. Lawrence College and before joining Health for Life she was a nurse with a community team, and worked part time in one of the local nursing homes. Joely is a busy mother of four wonderful children, who keep her active and who have a passion for dance. In her free time Joely enjoys spending time with her husband and children, walking her two dogs, and has even been known to participate in a dance class of her own. Anya provides Clinical Pharmacy services to Dr Kilpatrick and the clients of the Centre when there are complicated medication-related issues. She is a Certified Geriatric Pharmacist. Anya works out daily at the YMCA with her husband, and walks to work, to keep fit. She is an accomplished amateur actress and musician, and is always busy doing something creative or learning a new skill. She adores animals of all kinds. Jo-Anne joined the Health for Life team in August 2016. 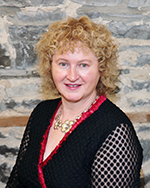 Jo-Ann has her Masters of Social Work and is a Certified Coach Practitioner. Besides working at Health for Life, she has a private practice in Career and Life Coaching. Kari joined Health for Life in the role of Fitness Trainer, in December 2012. With many years experience as a personal trainer and running her own business Fit to the Core, she has worked with a variety of clients of all ages. Kari enjoys inspiring others to keep active and fit and spends her free time with her husband and two children camping, skiing, hiking, urban poling and cycling. 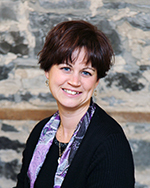 Melissa joined the Health for Life Team in 2011 as an administrative and physiotherapy assistant. In December 2012 her role changed as she began working along side Kari Galasso as the fitness trainer assistant. 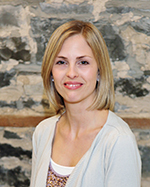 Melissa completed her studies at the Kingston Learning Centre Physiotherapy and Occupational Therapy Assistant Program in December 2010. In her free time she enjoys walking, swimming, hiking and spending time with her family. Sue is the Registered Dietitian for the Health for Life Clinic. She enjoys the outdoors, golfing, taking her dogs for walks, and tending her veggie garden, and she especially enjoys having visits with her grandchildren.